Part No. 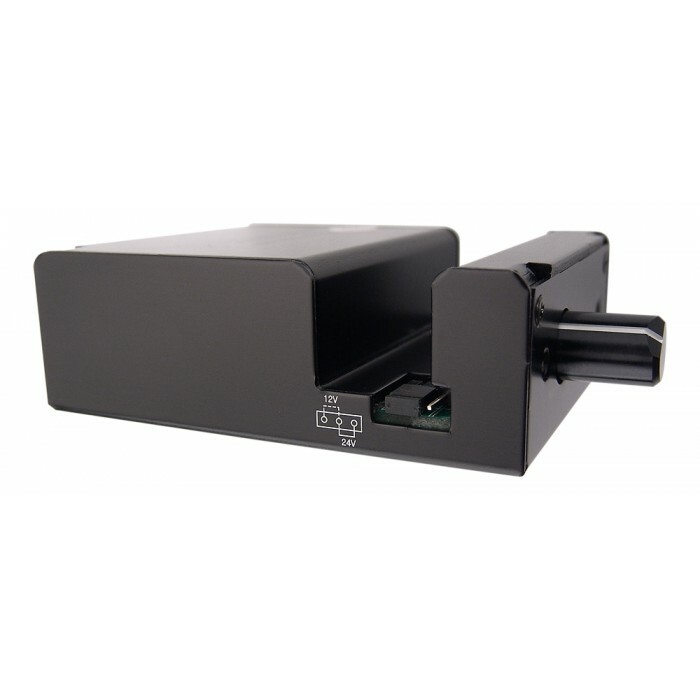 CTR-SPD1224M In Stock FedEx orders placed in the next 3 hrs, 38 mins ship today. 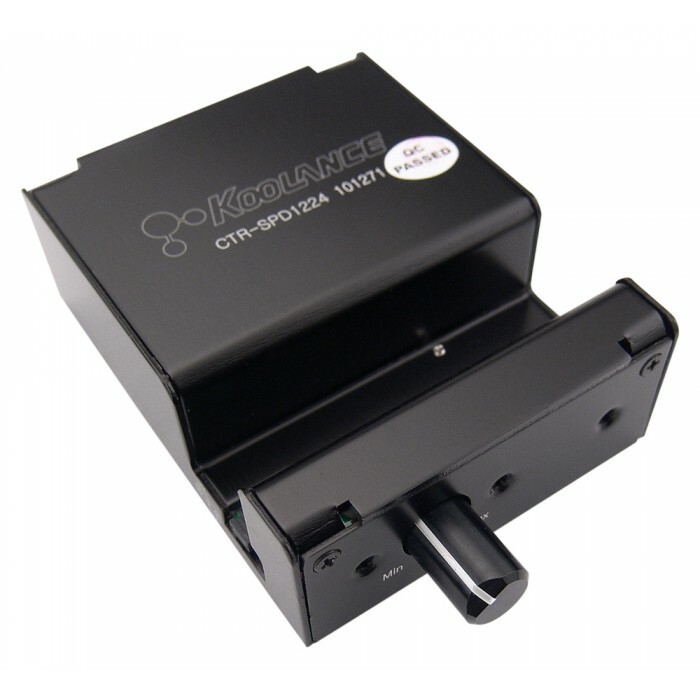 The Koolance CTR-SPD1224M uses voltage control to throttle speeds for 12V DC pumps or fans. 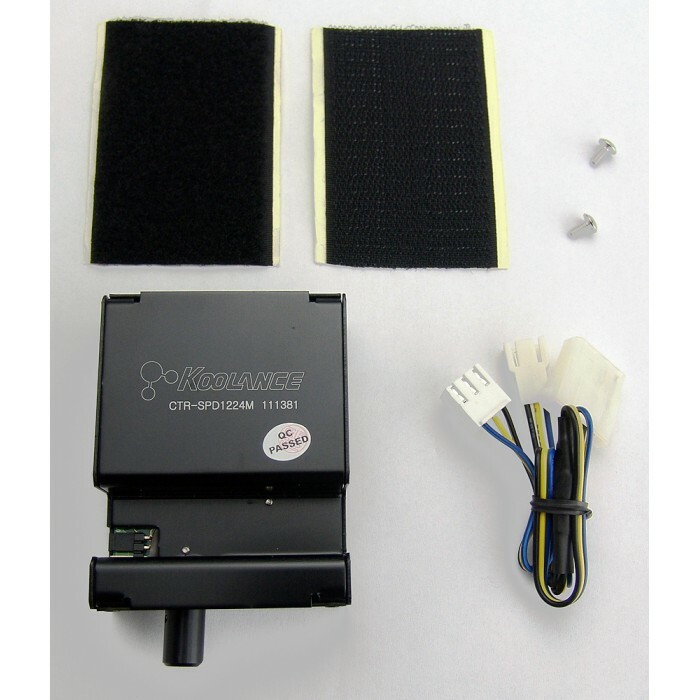 With a jumper setting, it will also step-up and throttle voltage for 24V DC devices. 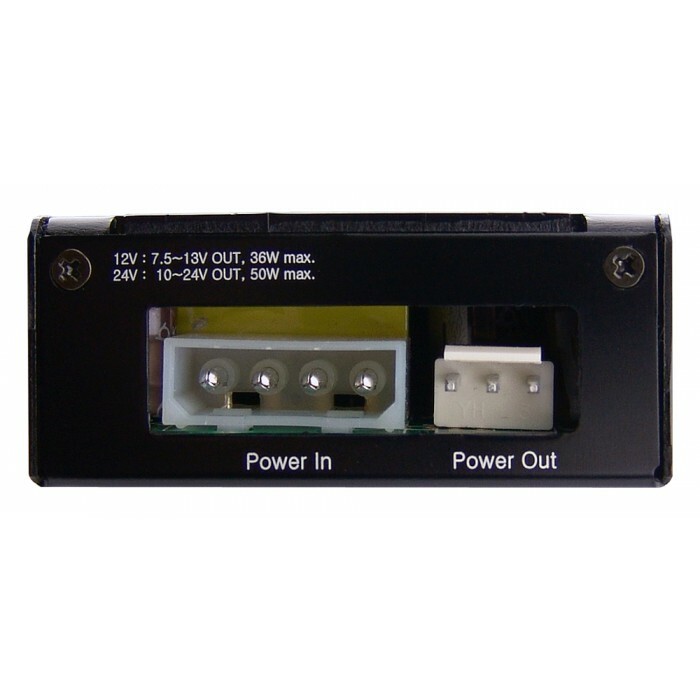 A 12V DC input is required.